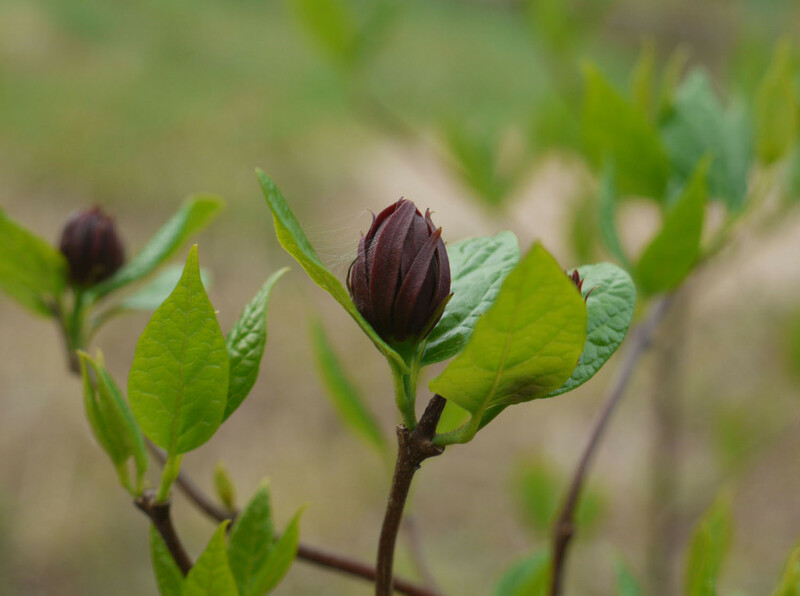 The spicy aroma of blooming Carolina allspice (Calycanthus floridus) flowers can fill an area during spring months. 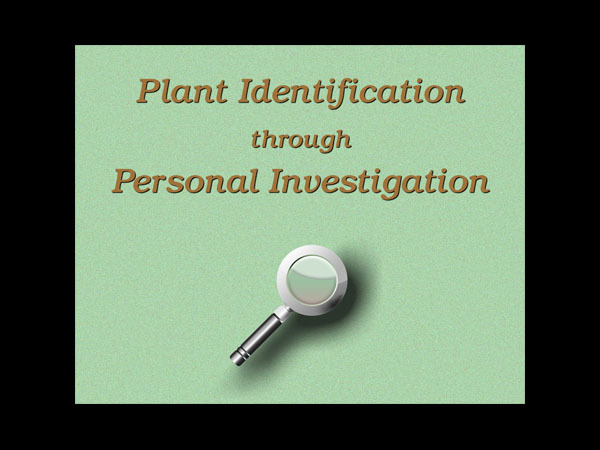 The flowers grow singly within a pair of leaves. Sets of leaves with their flower grow opposite each other along the bush’s branch. 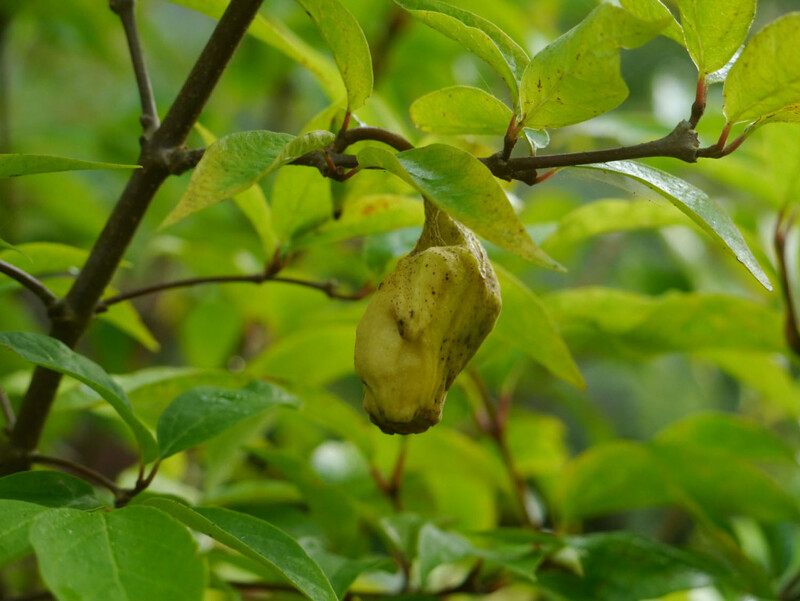 Fertilized flowers become large knobby seed pods. 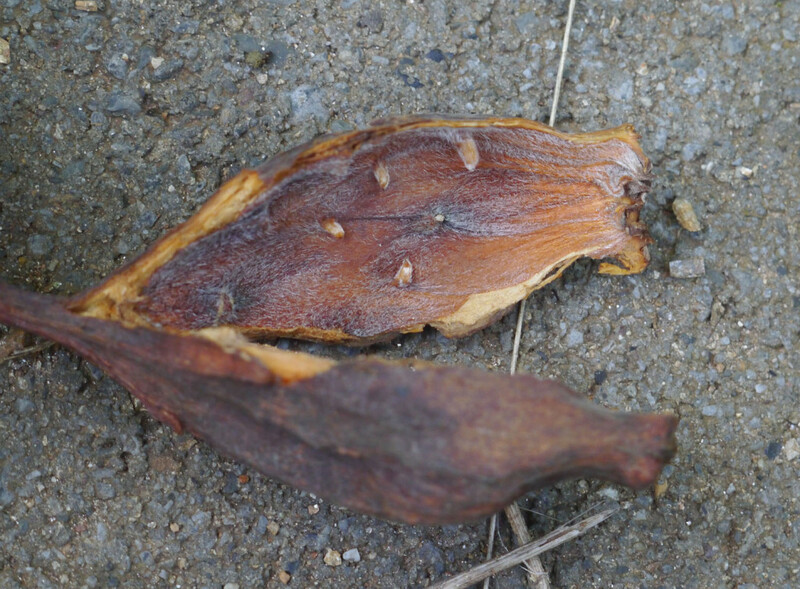 A ripe seed pod is dark brown on the exterior and lined with fine hairs and bumps on the inside. 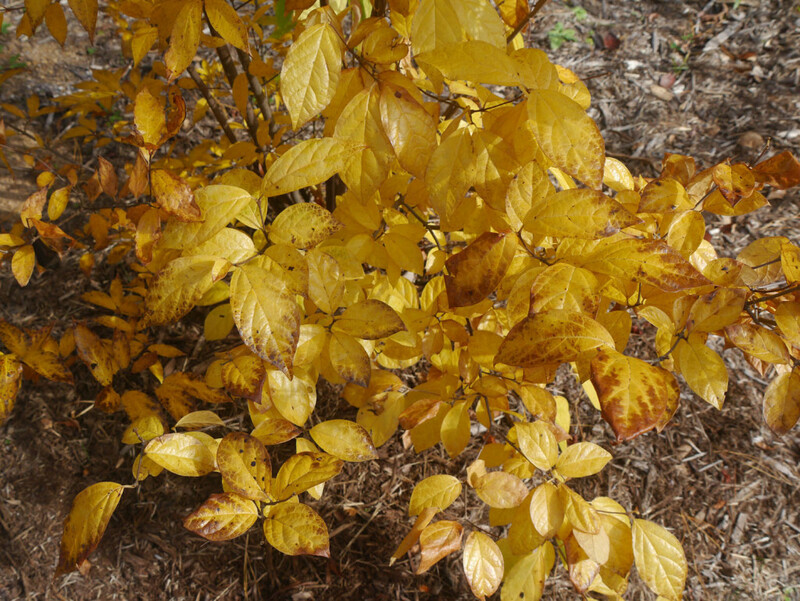 During the fall season, the leaves turn yellow. 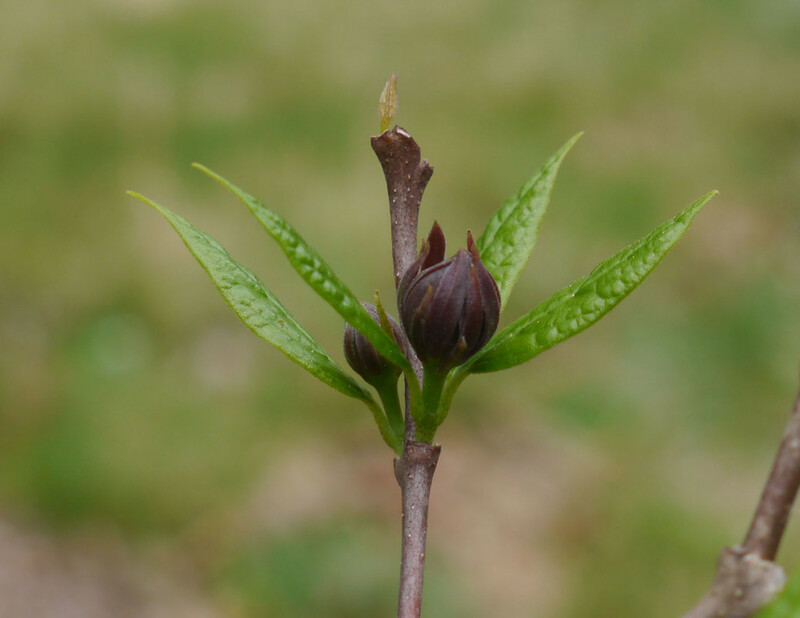 Watch this video to see how the Carolina allspice (Calycanthus floridus) flower buds and new leaves grow concurrently during spring, to learn about the pollination process, and to discover what the seeds look like.